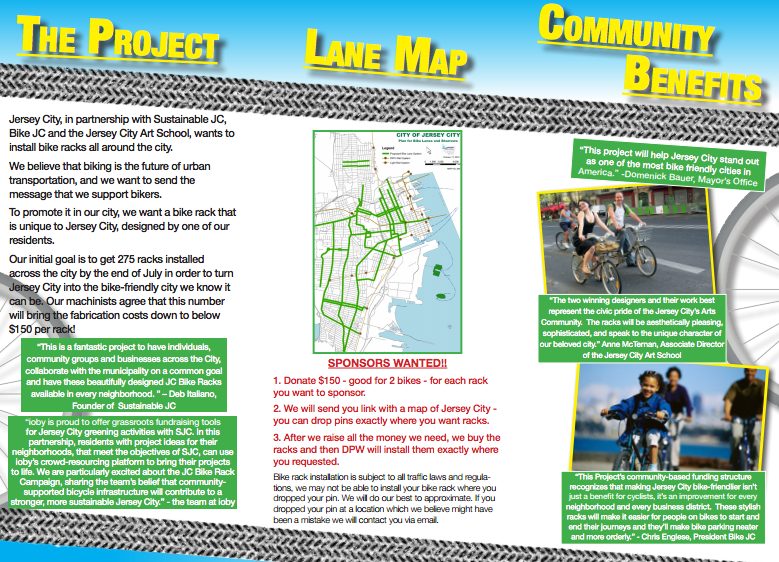 Blog post: Great Model for Collaboration in Jersey City! Jersey City, in partnership with Sustainable Jersey City, BikeJC and the Jersey City Art School, wants to install bike racks all around the city. We believe that biking is the future of urban transportation, and we want to send the message that we support bikers. 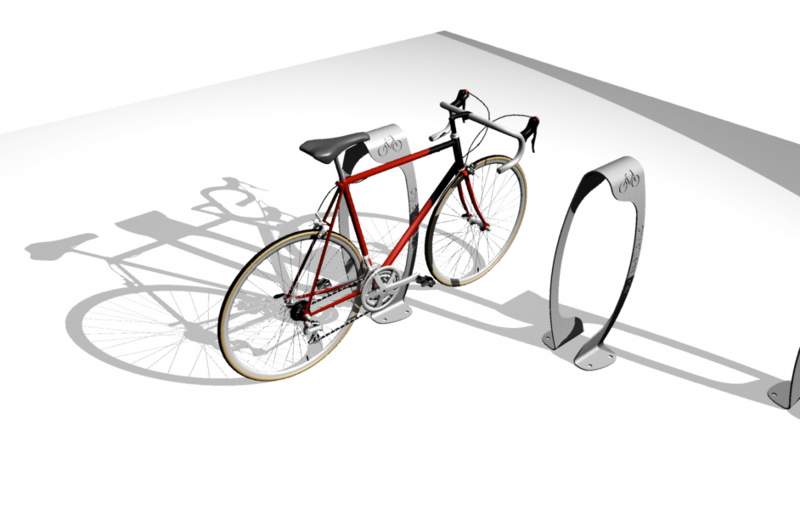 To promote it in our city, we want a bike rack that is unique to Jersey City, designed by one of our residents. 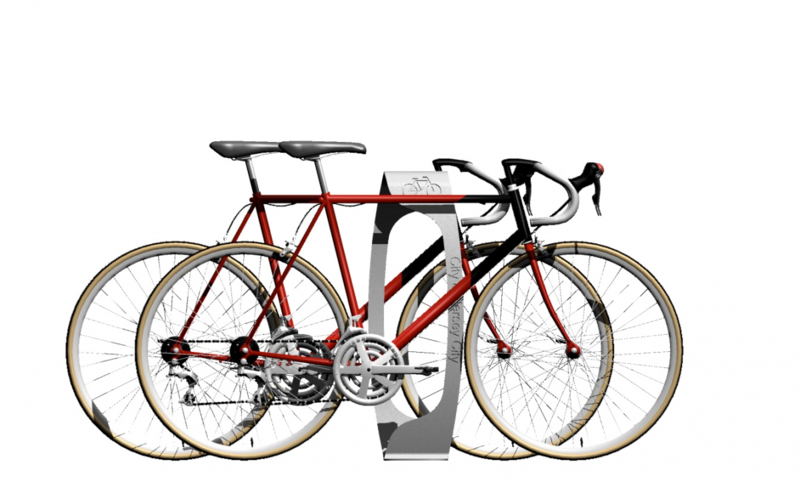 We held a bike rack design contest, we received many great submissions, and selected a winner. We've talked to machinists about our winning design, and for the fabrication of the rack to be economical, we need to make a lot of them! If we order 275 racks, they will only cost less than $150 a piece. 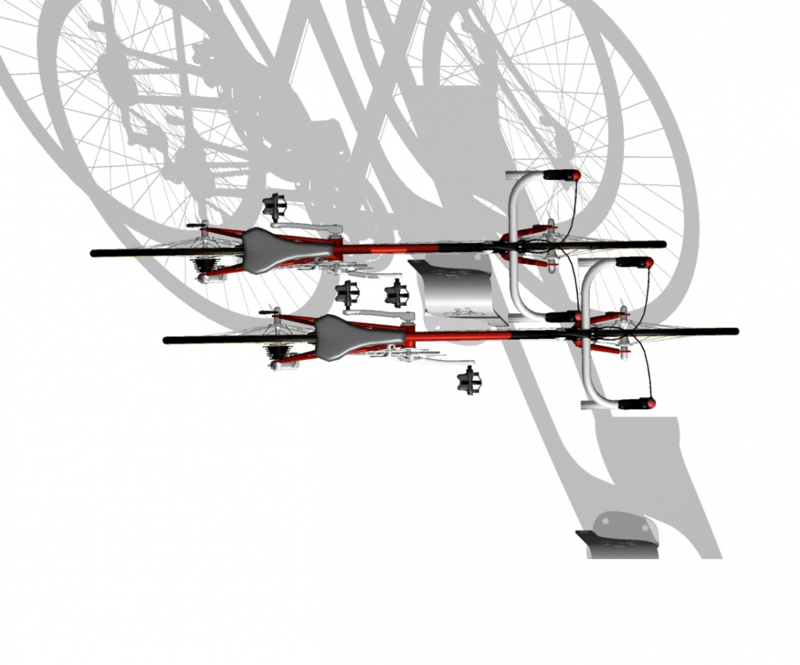 Be a part of this project and sponsor a bike rack! ALL DONORS GET A VOTE!! Stay Tuned For Location Voting Map - we will send you a link after you donate! If you choose not to share your email address with us, you won't get a vote! 1. Donate $150 - good for 2 bikes - for each rack you want to sponsor. 2. We will send you link with a map of Jersey City - you can drop pins exactly where you want racks. 3. After we raise all the money we need, we buy the racks and then DPW will install them exactly where you requested. Bike rack installation is subject to all traffic laws and regulations, we may not be able to install your bike rack where you dropped your pin. We will do our best to approximate. If you dropped your pin at a location which we believe might have been a mistake we will contact you via email. June 8: Fundraising Campaign Launched at Bike JC Ward Tour. We want to change the way people think about biking. 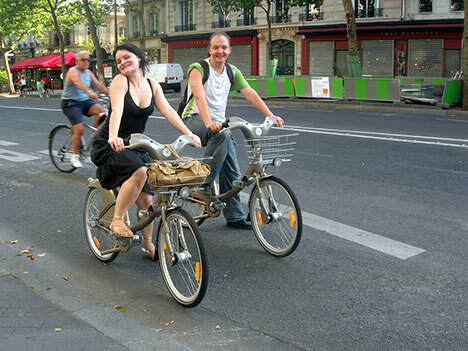 We believe that bikes belong in the street, and should be a full part of urban transportation. Jersey City is dense enough and vibrant enough for this to be a reality, but we need to send a message as a community that the car is not king in Jersey City, and a beautiful, original, and unique bike rack on every street is the perfect way to do that. Bring bike racks to the good people of Jersey City. This is an estimate from fabricators as to the cost of fabricating 275 racks at less than $150 dollars as piece. All labor will be free. $1,600 to get us to the finish line. And while we were going to end this campaign tonite at midnite, we’re going to keep going until we hit our target ! Let’s wrap this up Folks – partner with your business neighbors to bring more of these sleek bike racks into your neighborhood. Our campaign was featured in an article on NJ.com! 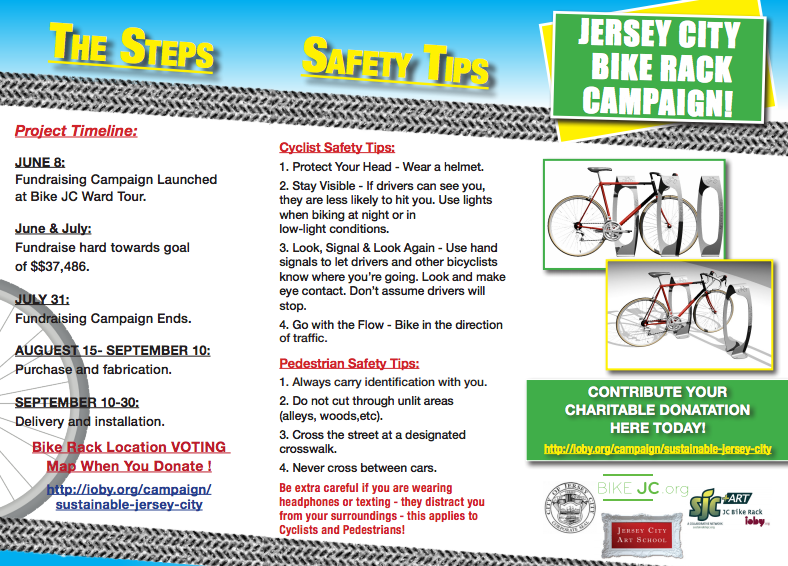 Read "Jersey City and community groups unite for bike rack fundraising campaign" here. In honor of Natasha Caicedo.